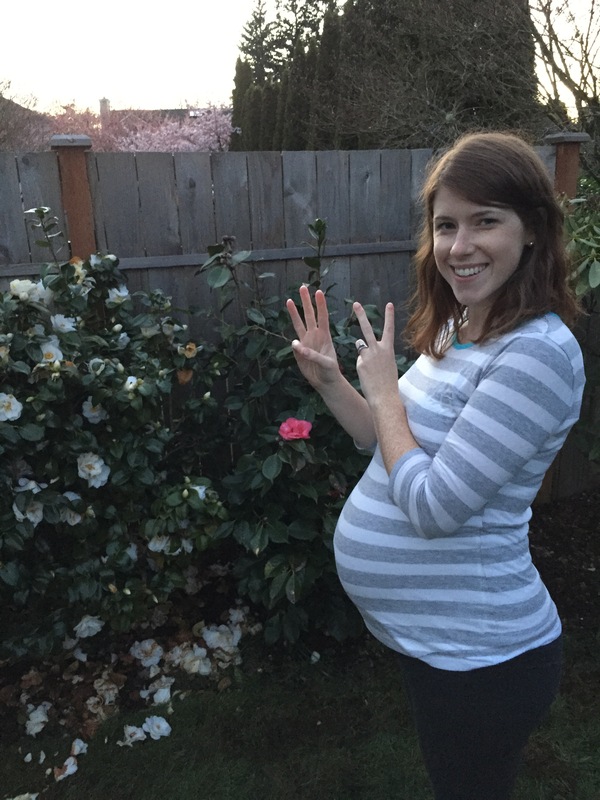 33 Weeks — All of a Sudden, I’m Pregnant | "In good writing, WORDS BECOME ONE with things." Everyone keeps asking if this pregnancy has been entirely easier, and of course it has in some ways, but it’s also surprised me by its difficulty. It’s just more taxing to be this active and on-duty every single day. I can’t sleep in or take it easy if I’m feeling lousy. 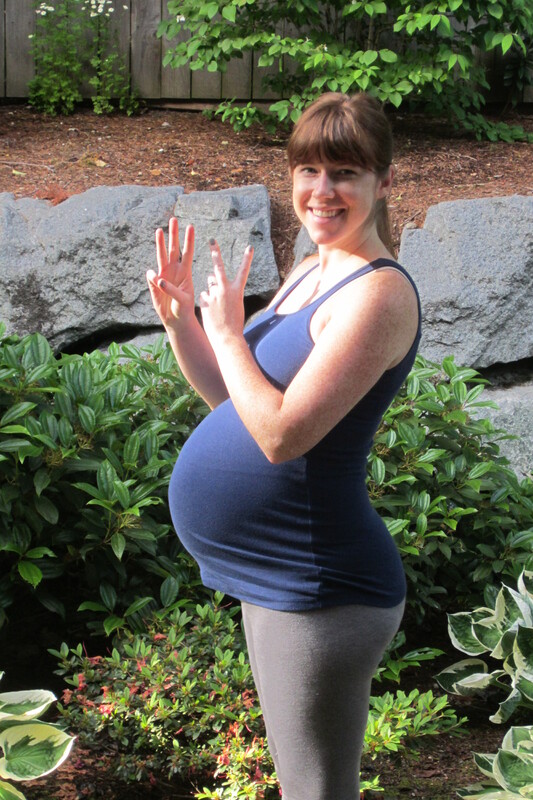 Overall though, this pregnancy has been going swimmingly, and then at around 31 weeks I began to feel actually pregnant. Up until that point I felt mostly pregnant in theory, like, yes I’m going to have a child. Yes, my belly is getting rounder. But my actual life had not really changed. Then all of a sudden, the Third Trimester visited me. At first I was happy to see her; “Oh it’s you! I’ve been expecting you! Come on in, we have a guest room to accommodate your needs!” She looked pleasant and appealing — and then she left and forgot to take all of her baggage with her. She left behind shortness of breath, a general inability to bend over, Braxton Hicks contractions, a desperate need to take naps, and incredibly inconvenient lower back pain. I will not be writing her a thank you note. I don’t think any of this would bother me much if I didn’t have children. It’s funny now that I look back and realize how first-time pregnancy seemed so all-consuming, and now it’s like there isn’t even time to be pregnant — symptoms? Who cares? Who has the time to pity and nurture oneself through this? 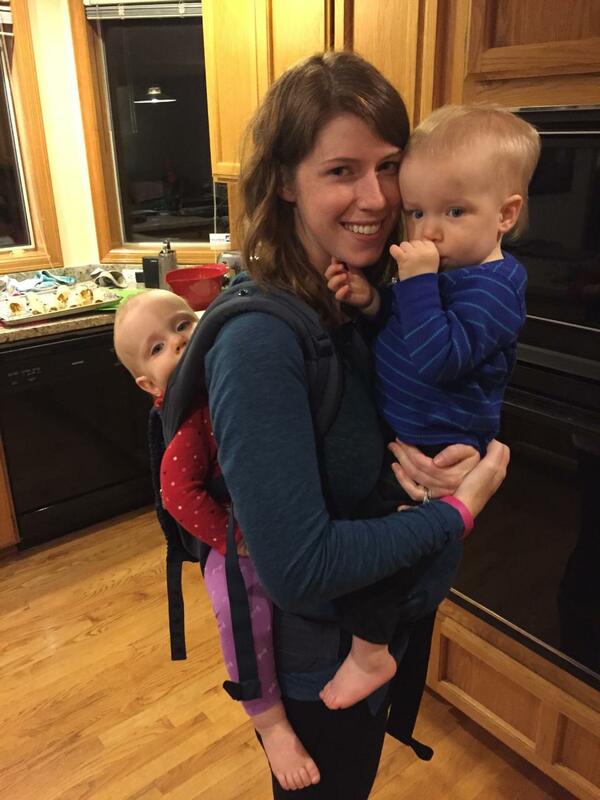 But then I hit month eight and the leisurely attitude has taken a backseat to reality — namely that picking twins up fifty times a day or sprinting after them when they run in different directions is becoming less and less possible. The photo below shows what used to be possible. Two babies on top of a pregnant belly? Breezy! Monday I aced the entire day, just blew it out of the water — task after task. The little oopsie is that each one involved a physical demand best left to those not with child: three loads of laundry (carrying hampers up and down the staircase), organized new baby’s closet (bend and lift! bend and lift! ), picked up new baby’s mattress and carried it up to new crib (what the what?! ), went to the grocery store — WITH the twins — (in and out of the car and cart plus carrying groceries), did my exercise video (am I trying to win an award? ), and walked the babies around the neighborhood (this is healthy but came at the end of the day when I had nothing left). While doing all of this I felt like “pregnancy? what pregnancy?” and then my back basically collapsed in on itself and Mike came home to find me in child’s pose on the family room floor. The babies were ideal caretakers as Mike explained that Mama needed a rest. They both wore chubby-cheeked looks of concern and confusion as they patted my head or, in Arden’s case, laid down nose-to-nose with me and said, “Night night.” I tell you — when you’re seeking rest, what’s better than someone willing to do nothing but rest beside you? So I’m aiming to slow down. We elected not to continue Kindermusik this quarter which eliminates one weekly commitment. I am still teaching a Mommy and Me ESL class once a week but will be wrapping that up in the next four weeks or so. The rest of my days however…I’m not sure how to slow them down. Even if I remove overachieving days like I had on Monday, how can I do anything less than rise early, play with my kiddos, pick them up, make them meals, change a dozen diapers, get them in and out of the car and their cribs, sit down on the floor with them fifteen times — oh, and clean the house? I’m unclear on how all of this will shake out but I know I can do it. I know I can because millions of other pregnant moms are doing the same thing, many with more children to care for than I have. Oh and Jesus; he’s dishing up mercies by the handful and I can count them like shiny marbles in my palms. And let’s not forget the copious amount of help I receive from my mother, sister, and mother-in-love as they visit each week for several hours. They save me. Haha, no!! But I LOVED those bangs! And don’t you wish we called them “fringe” like in Europe?